I love this shade of blue, i think it's one of those colours that looks even better in the Winter. I was so happy when i realised that this jumper & hat are exactly the same shade of blue because i think together it looks fab. 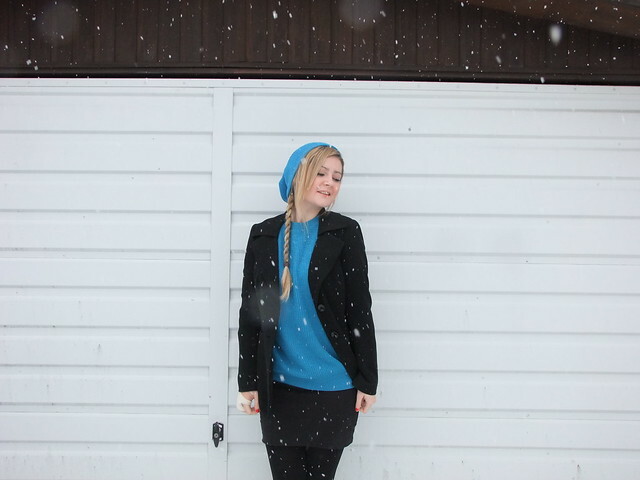 Bright neon colours are back and these are certainly bright and the snow and black really emphasises that! I thought this beanie was so cute and perfect for this weather! It's quite funny how i love blazers/skirts and looking smart yet i love beanies too. I just think they look really weird and wonderful together, but i like my own individual style, it's not the same as anyones. 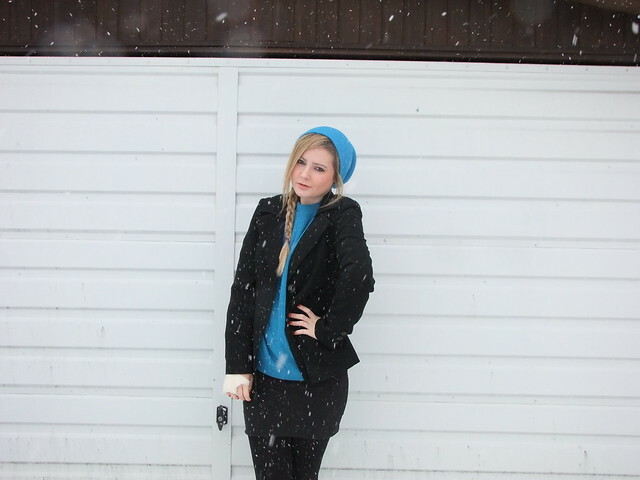 Worn with a tube skirt adds the femininity that was taken away by the beanie and the blazer just adds sophistication. So despite the really positive mood i'm in, i spent the early hours (i say early - it was like 9am) at fracture clinic. I have a 'boxers fracture' in my hand and i'm in a plaster cast for 3 weeks minimum.. all my problems usually take ages to heal, but fingers crossed! I love the snow and i think that's the reason for my good mood. It's so beautiful and peaceful when it's just sitting there. So delicate. So fragile. Absolutely beautiful! 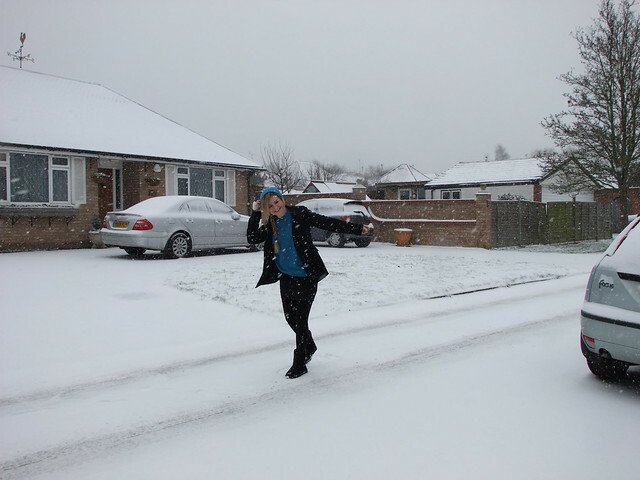 I really want to go and make a snow angel, i'm so tempted, but i don't like the thought of getting even colder! Here in Hertfordshire it's ridiculous temperature, -1 or something i think. Copious amounts of tea is getting me through! Your sweater matches your beanie !! How cool !! and love it more with the side braid. i really love that blue during winter too! it gives such a nice pop and i like how they were both the same color. and yay for snow! !